Modern work environments make losing weight a pretty difficult thing not just because of the lack of natural exercise we do during the day, but also because of the limited free time we have. Despite these impediments, there are a lot of people that are willing to do some sacrifices in order to lose weight or gain muscle. Improving your overall image will increase your confidence and will make you feel better about yourself. First, there is one crucial step, you need to prepare yourself mentally and also do it the right way. Setting goals is very important but try to focus on health rather than on appearance. The first thing is need is some knowledge of nutrition. Everything we eat affects our body and it can be in a good way or in a bad way. You don’t need a lot of knowledge here but just have some common sense. Avoid foods that are rich in salts, sugars and saturated fats. It will be difficult at first to change your eating habit but this is the first step to a healthier life. The second thing is exercise. The human body needs exercise for it to function properly and eliminate the toxins from your body. 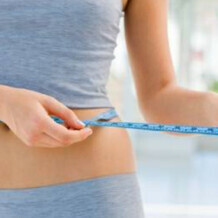 Exercise burns fats and improves the health of your internal organs such as your heart. Exercise doesn’t have to be something you don’t like, it can be a lot of fun. If you don’t like going to the gym, than start running in the park while listening to your favorite music or choose a sport you were fond of as a child. The third thing is help. Obviously, staying fit is not very easy and there are many sacrifices to be made. Help doesn’t have to mean professional help if you don’t like to hire a personal trainer but it can mean finding a friend that wants to go through the same thing. You can keep each other motivated and you will both win from this relationship.